Williston is about 22 miles southwest of Gainesville. 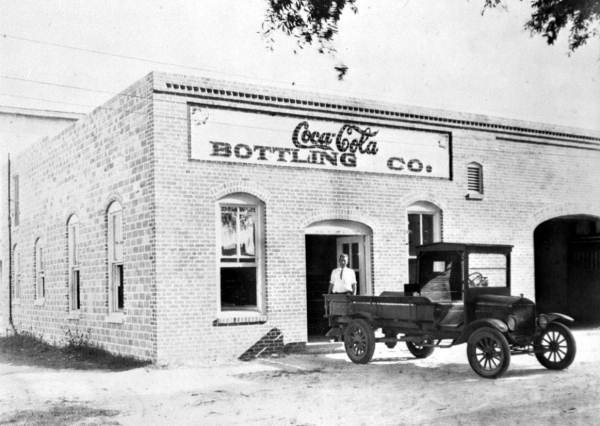 It is a typical small Florida town that has not changed as much as others have over the years. The population is about 2,800. It is a working town close enough to the University of Florida for commuting, but with plenty of jobs in forestry, manufacturing and farming for folks that want to stay in town. For more than 25 years, the town has hosted the Central Florida Harvest and Peanut Festival in October. The town is a major regional crossroads with US-27, US-41, SR-121 and a host of other state and county roads meandering through town. It is about 10 miles west of I-75. The area around town has a lot of horse farms. 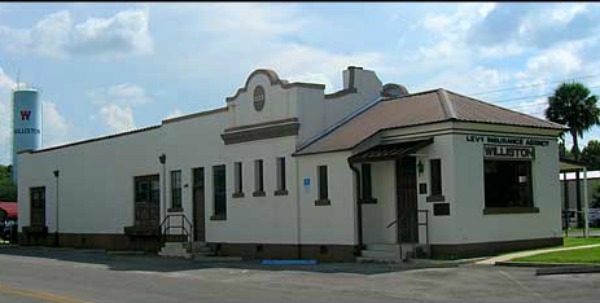 One of the town's claims to fame is that it is the birthplace of Foolish Pleasure, the winner of the 1975 Kentucky Derby. Another attraction in the area is Two Tails Ranch, an animal refuge that specializes in taking care of elephants. Over the years the ranch has taken care of more than 250 elephants. 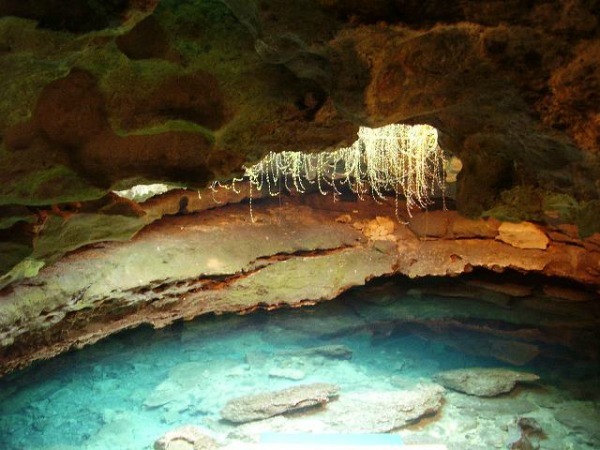 The limestone formations underlying the area around Williston have created many interesting features including several springs that are attractive to cave divers. 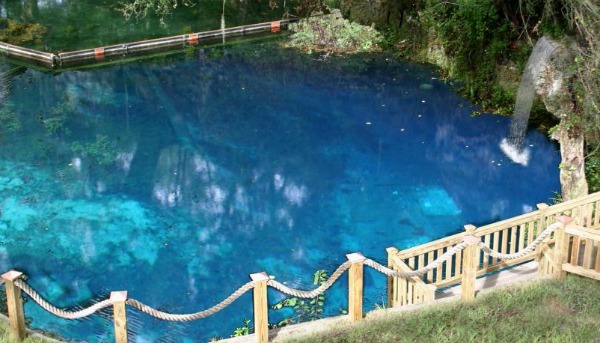 The two most popular of these are Blue Grotto Springs and Devil's Den Springs. Each of these springs is set up with a vendor that can make your cave diving experience an enjoyable one. These vendors charge an admission fee, and you should check their websites for fees and hours of operation. Train lovers will enjoy visiting Kirby Family Farm. 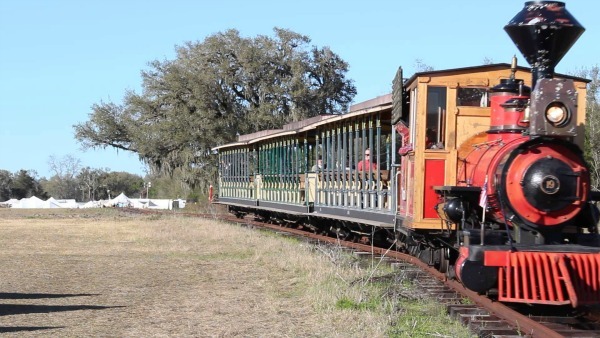 It features a narrow gauge railway (3 feet wide) known as the Great America Railway and claiming to be Florida's largest private railroad. The farm is an educational facility and is not open to the general public. You have to visit their website and make a reservation. A favorite Williston restaurant is The Ivy House Restaurant and Boutique.